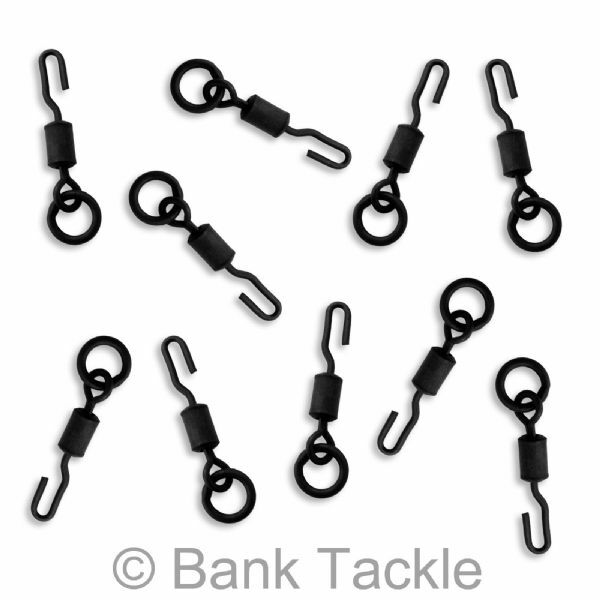 Quick Change Ring Swivels designed for making Spinner Rigs, aka Ronnie Rigs. 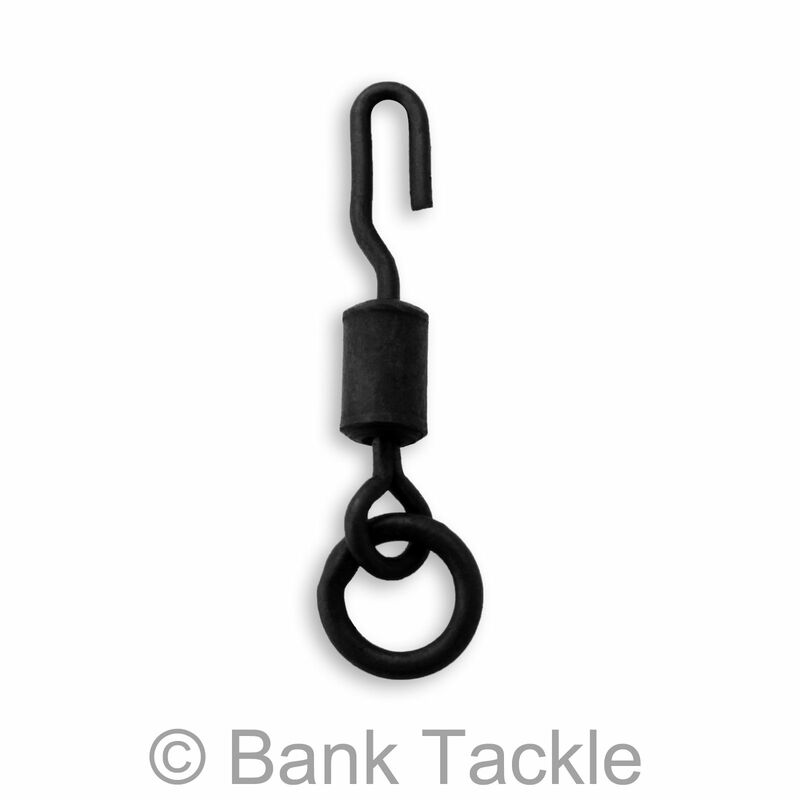 The purpose designed clips makes changing hooks quicker and easier than ever before, eliminating the need to bend open and close the wire. These need to be used with shrink tubing to cover the connecting link and to help keep the hook set at your chosen angle.